Brian has been a PGA Member for over 30 years and has a wealth of experience teaching players of all abilities. His philosophy is “Not just to teach, but to create an environment (through use of drills, teaching aids and video) where the pupil learns the cause and effect of their actions and how it influences the golf ball. A lesson learned is longer than a lesson taught”. 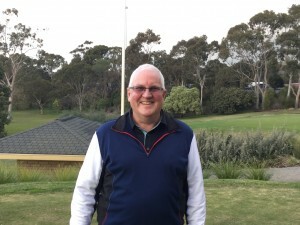 Brian’s achievements include winning the South Australian PGA Teacher of the year in 1998 and has coached Mens and Womens teams for the SA Golf Association. My obsession with analysing the golf swing was always evident from a young age. I loved hitting balls and working on perfecting my swing to chase that ultimate shot. This in turn lead me to help others improve and my love of coaching began. Plenty of study on coaching and club fitting gave me PGA advanced coaching accreditation. After 20 years of working in pro shops I believe I can help anyone of any age improve their golf and reach their goals. My passion lies heavily in coaching and assisting players to improve. My philosophy is based on a minimalist approach focusing on the cause of a problem to get the most successful outcome for long term and sustained improvement. I search to find the most appropriate means of communication to best suit the learning style of each individual. Simon played on the Australian tour for two years before turning his focus to coaching and Club Professional life. Growing the game of golf has always been my passion since I began to play golf. Teaching junior golf is my way of developing the game and giving back. 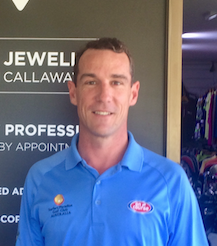 I completed my golf studies with the PGA IGI Program at Griffith University on the Gold Coast graduating as a fully qualified PGA and Golf Australia Community Coach. This gave me the opportunity to work at Sanctuary Cove and Royal Pines Resorts. I also taught and co-ordinated the junior golf program in Townsville, Moranbah and Mackay in Queensland. The opportunity to move to Kew Golf Club in Melbourne happened in July 2016. 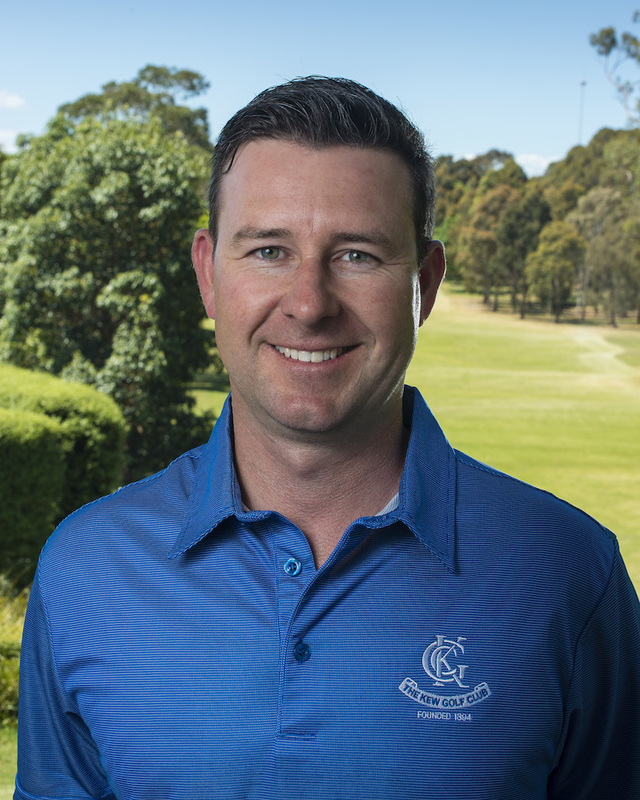 I have worked with some of the best golf coaches in Queensland during my studies and training, and I implemented these swing theories to junior golf programs now at Kew Golf Club. I also enjoy playing the game at a competitive level playing off a handicap of 3. Socially I aim to play as many golf courses in Victoria as I can. immediately for printing or emailing. Great way to save time. Our objective is to provide the opportunity for junior golfers to progress from their first golfing experience or lesson to gaining an understanding and competency in the game of golf. Juniors will be encouraged to enjoy their experience, and be guided in learning all about course play, gaining a handicap and competition golf. The major focus of the junior program is to be instructive and fun. Our classes are broken up into 7 different levels ranging from beginners (Yellow Level) to elite (Development Squad) depending on the age and individual skill level of each student. At the end of each term an assessment will be conducted. This testing covers the content of the lessons throughout the term. Once a student achieves a set level of criteria they may progress to the next level of the program. Practical clinic sessions will alternate between long game and short game sessions, developing drills and exercises to improve swing technique. Games and skills tests will be used to maintain interest and help measure improvement as well as participating in games and fun activities. On course sessions will be used to focus on issues such as rules and etiquette, different styles of competition and scoring, as well as club and shot selection, mental skills and strategies. Juniors will need to reach a satisfactory level before being invited to participate in on course sessions. Where do the clinics lead? Should juniors display sufficient potential and an interest in pursuing golf for the longer term, their involvement in our program may lead to club membership, competitions, representing the club in pennant and beyond. There is an annual registration fee of $140.00 (paid quarterly) for participation in our junior program which is payable at the start of the year. A registration form will also need to be completed. The fee covers a number of activities conducted throughout the year including the end of year break up and the MyGolf registration. Term fees, which are calculated by the number of weeks, include the one hour skills sessions and the two hour on course sessions. 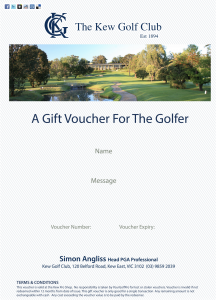 Term fees are payable at the beginning of each term to guarantee a place at the My Golf Website. Please contact the Pro Shop for which group would be suitable. Due to the popularity of our program numbers of participants are high. As a result, all new juniors are required to undergo an initial assessment. These assessments take place on the first Saturday of each month at 9:00am. Once a vacancy arises, juniors will then be invited into the appropriate level of the program. The cost for this assessment session is $20.00. We hope you find this information helpful and thank you for taking the time to enquire about our Junior Program. 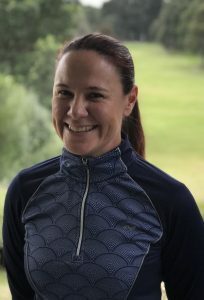 Should you require any further information please do not hesitate to contact The Kew Golf Club Golf Shop on (03) 9859 2039 or email us at golfadmin@kewgolf.com.au Narelle Anderson – Community Coach. 1. Safety – All players must stand behind and well away from a player hitting (Approx 5 metres). 2. Watching – All players should watch the ball of other players and where it finishes. 3. Sand Buckets – Each player must carry a sand bucket and use it where required. 4. Bunkers – Must be raked after use and the rake left outside the edge of the bunker parallel to the line of play. 5. Buggies – Are not allowed to be wheeled across the greens. 6. On The Tee – Players must be ready to hit as soon as possible. 7. On The Green – Players should repair pitch marks and putt out where possible. 8. Pace Of Play – Players must move as quickly as possible between shots without running. 9. Course Care – Carry a sand bucket and replace divot holes with sand. Do not replace the detached divot. Repair plug marks on the green. 10. Volunteers – Thanking volunteers should be exercised after your game by shaking hands. It also shows good sportsmanship to thank and shake the hand of your playing partners. The members of The Kew Golf Club take enormous pride in the standard set in regard to dress regulations. We like to ensure that all parents and juniors are aware of the dress standards required whilst attending our junior clinics and ask that you help your child maintain these standards. Below is a list of acceptable and unacceptable dress. Your help and understanding is greatly appreciated as we endeavour to ensure your children continue to gain benefit from our junior program.